Just before the sun rises there is a hush all over the land in anticipation of the arrival of Aurora the Goddess of dawn. 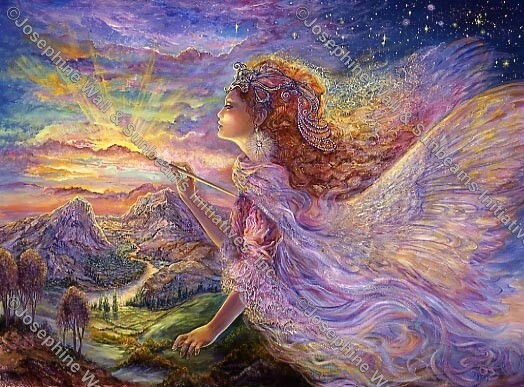 Using her rainbow coloured palette she paints the sky and clouds with the dramatic colours and light of the imminent dawn, until with a burst of brightness the sun emerges and another day begins. Her work is never done as she travels the world painting a million dawns in a continuous cycle. With each dawn comes a new day to celebrate and enjoy. Life is good. !